Retesting my recipe using almost 100% sago flour and i am extremely happy with the texture. Very light and fluffy. Have made some minor amendments to the recipes. 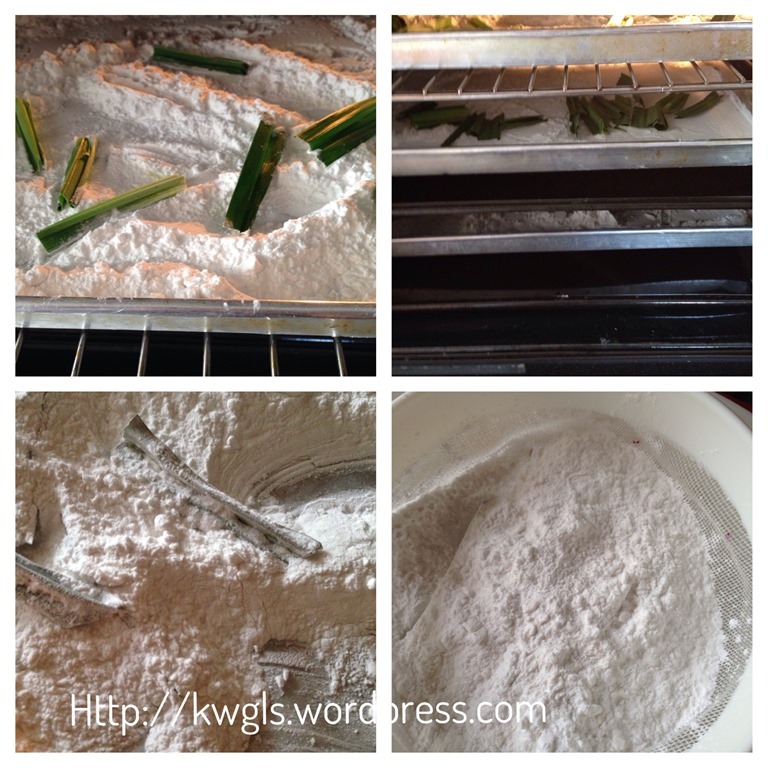 Making Kueh Bangkit, a type of traditional coconut milk flavoured light cookie is never in my list of cookies to be made this year. I knew all this while that this is my mother’s in laws favourite cookie. Since my wife’s sister is visiting us this week, I have decided to prepare this cookie and ask her to bring back for my mother in law. This is a traditional cookie. Most elders will know and like the cookie. I only prepared once since I started my baking adventures. It was at least 10 years back. I remembered stir frying the flour and the results were not that satisfactory. While browsing various Facebook food groups’ postings, I noted that one of the challenge of Kueh Bangkit is to make it melt in the mouth.. It is supposing to be a very light cookie and you should be able to ingest it without the use of your teeth. 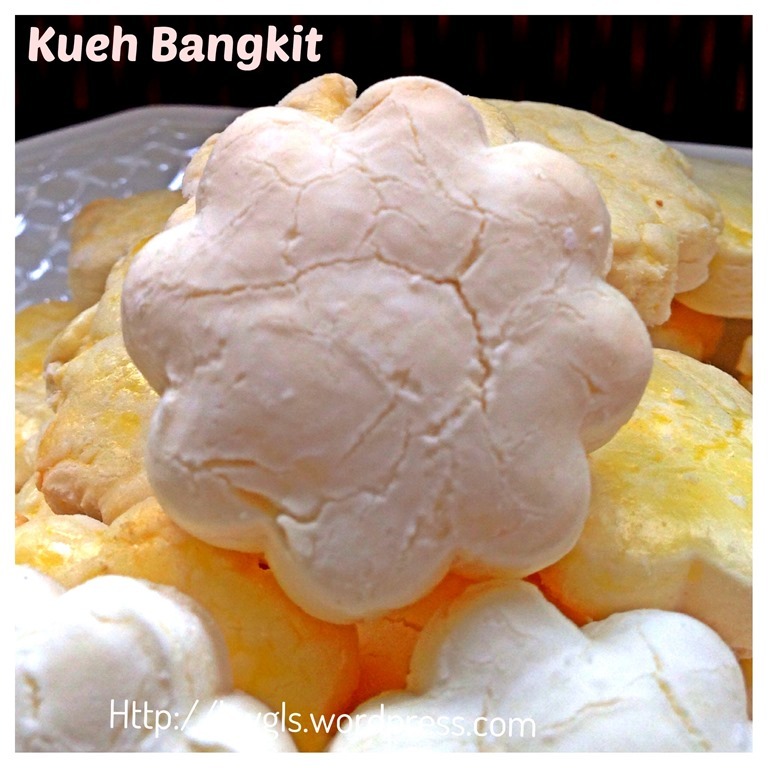 Based on what I can recall, the Kueh Bangkit that I have eaten when I was a kid were rather “ugly” without beautiful shapes but very easy to eat.. But what is sold over the counters and the images I seen in the internet are overly beautiful, and in my humble opinion, this cookie should be quite hard. I have this firm belief that shape and texture is always a trade off. If you want to have a melt in the mouth texture, it basically also means that your dough must have a lot of air..having a lot of air will means your dough should be light and crumby..therefore the shape should not have fine imprints…. As I can’t locate my old recipe, I started to search for recipes on the net. I usually started with an image search. 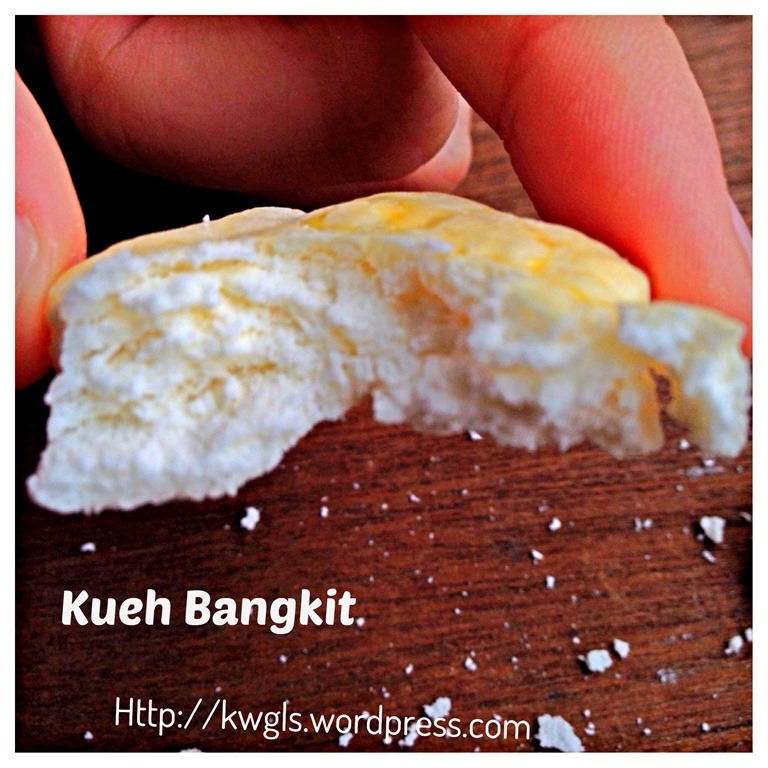 I looked for pictures of Kueh Bangkit that have a rugged look or possibly with some cracks. 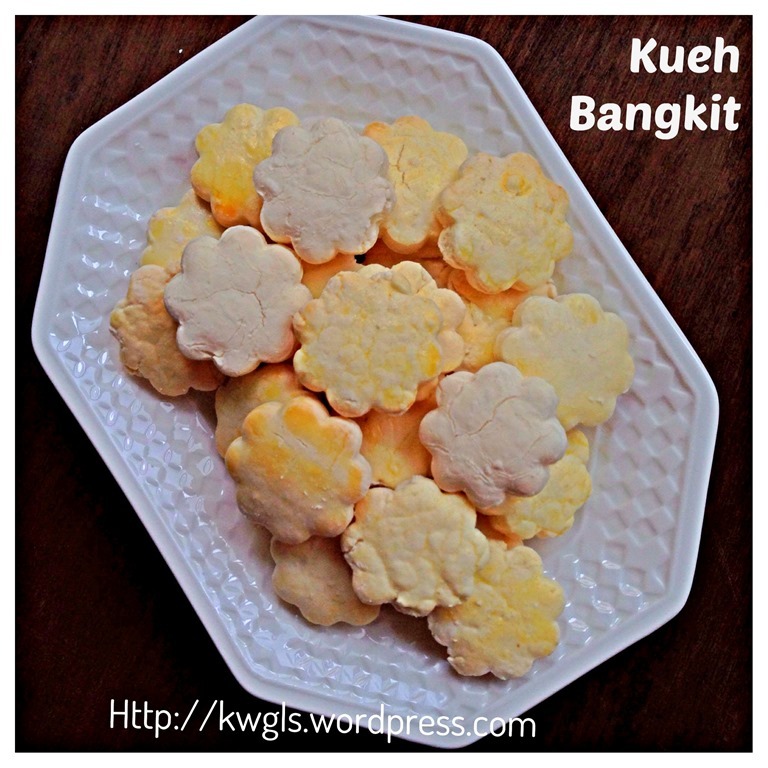 I found this recipe: Mom’s Kueh Bangkit from Journal of A Nutritionist Mom. I have confident on her Kueh Bangkit from her picture, a slight crack on the top. I jotted down her ingredients but I have used what I know about baking to make my own version of Kueh Bangkit. 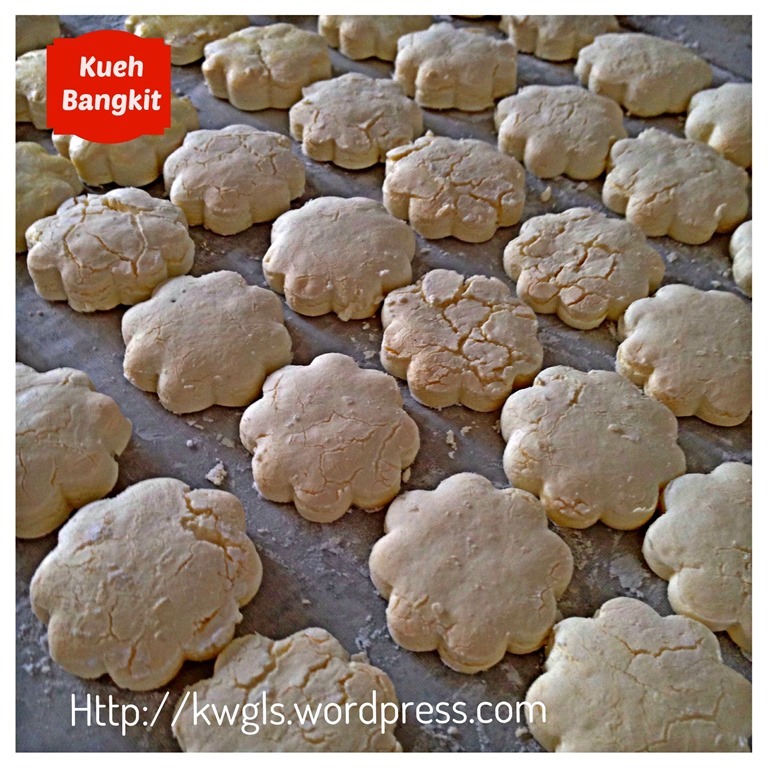 In my humble opinion, making Kueh Bangkit is just like making scones. All handlings have to be light. The reason is simple – to introduce air to the dough. Therefore, a sign of crumbliness in the dough should be acceptable. 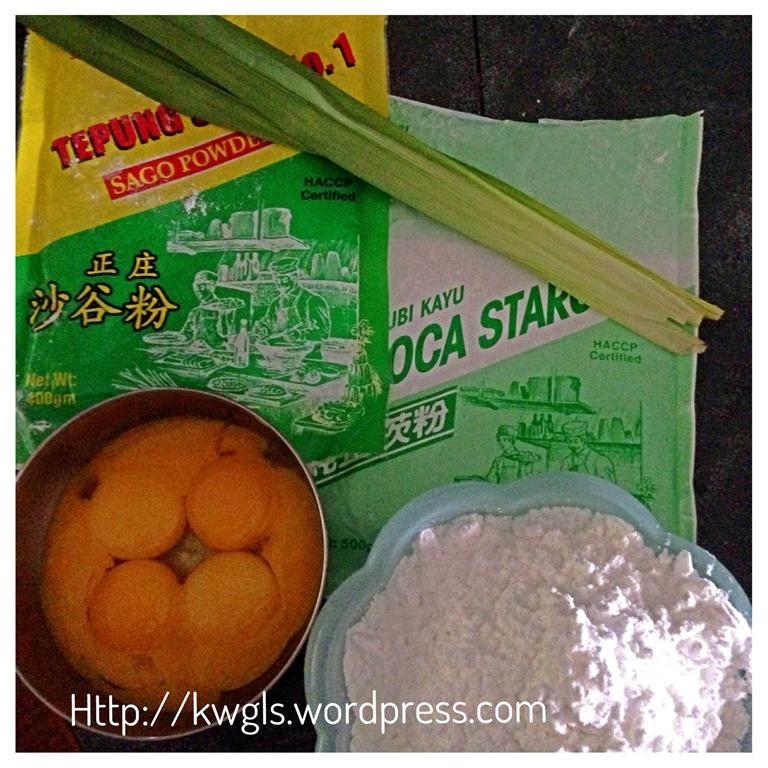 Unlike scones that uses wheat flour, Kueh Bangkit uses starches – tapioca flour and I have also added sago flour, another starches commonly found in Sarawak. These flours are not good at absorbing water. The dough is likely to be wet at the bottom but dry on top. Water will sip down to the bottom. The objective of introducing air to the dough will also means that your flour/starch used have to be light. Traditionally, the flour were being stir fried to achieve this effect. But I have resorted to the use of oven to bake the flour… That is not what I “invented”, I remembered reading one recipe for Ghee cookies – Kueh Momo that requires baking of flour..One advantage of baking the flour is I need not to stand by the stove, I can let it bake and occasionally stir the flour. Sifting of flour should be “dusty”. If it is not dusty, your flour is not dry enough and feathery light…Liquid should be added bit by bit as and when you do the moulding.. This is my own version of Kueh Bangkit and excuse me for not being humble to say that this is a very successful batch that produced the texture of Kueh Bangkit that I am looking for. 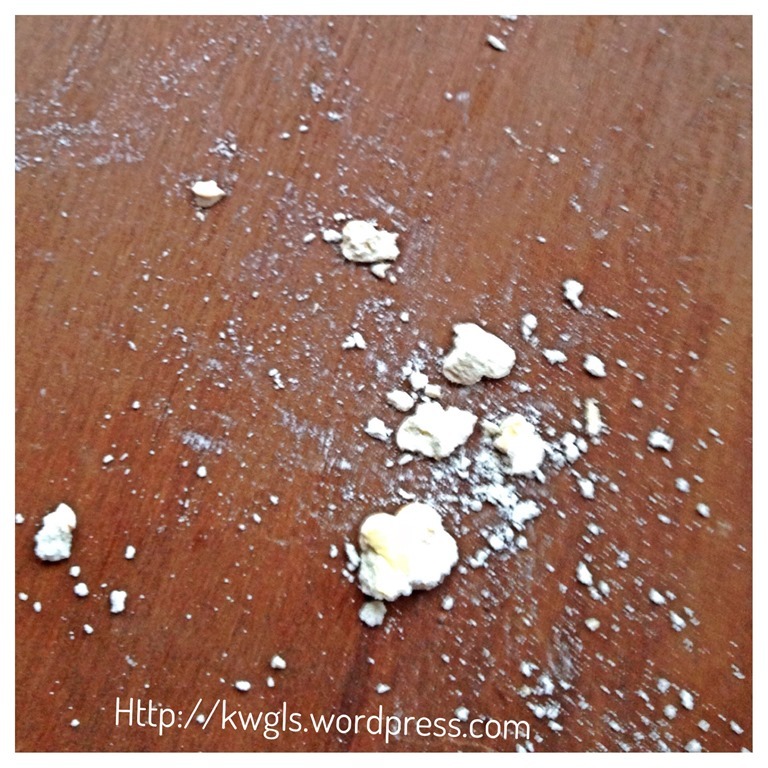 When I took my images for this post, one piece dropped and it became like this…. 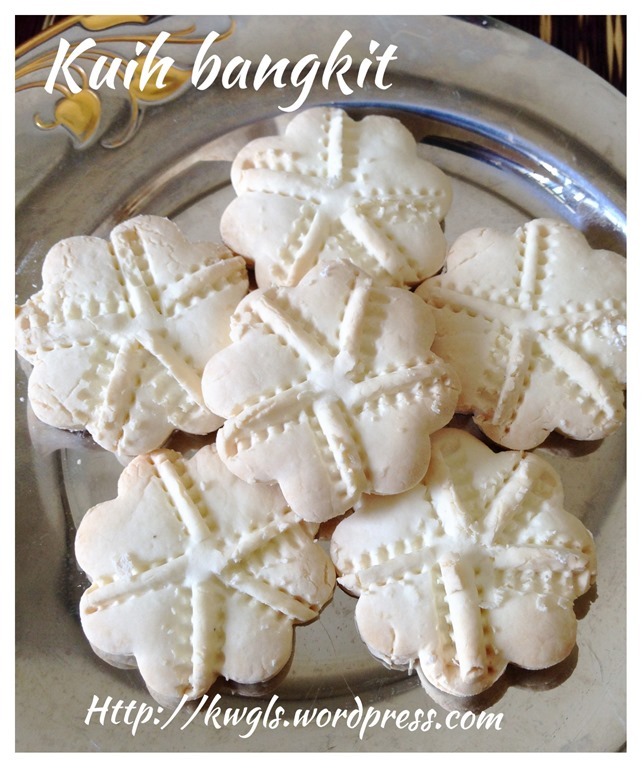 Recipe adapted from : Mom’s Kueh Bangkit from Journal of A Nutritionist Mom. Pre-heat the oven to 150 degree Celsius and have 2 baking trays lined with baking paper. Cut the Pandanus leaves into smaller pieces. Place all flours (sago, rice and tapioca flours) in a baking tray and bake in the oven at 150 degree Celsius for 15-20 minutes. Occasionally, stir the flour. You should feel the change in lightness of the flour when you stir the flour along the baking process. As a rough guideline, when the Pandanus leaves dries up, it is considered as done. You can either use top bottom grill mode or fan mode. Fan mode is faster but slightly, slightly dustier. I use fan mode in this illustration. In a big container, sift the flour. When you sift the flour, it should be rather “dusty”. If your bowl is very big, you can consider cover half of your bowl with a clingy wrap. 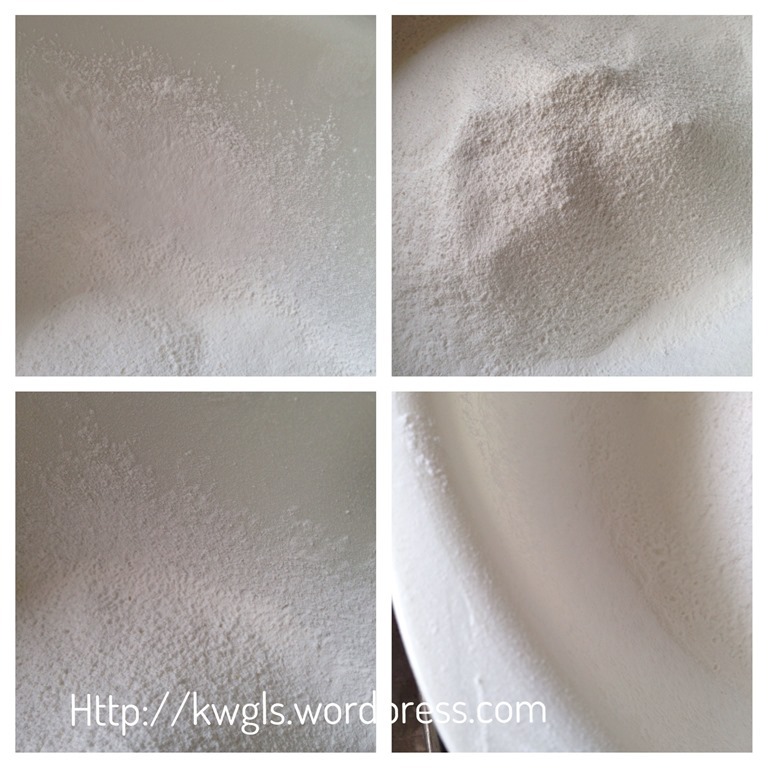 The flour should not only sit at the bottom of the container, the side of the container should have some accumulation of flour too. Use a spoon to press the small lumps on the sift and throw away all those that cannot go through the sift. Set aside and let it cool. As I am running out of time, I have prepared this batch of cookies when the flour is still warm. That is also logical as the longer the baked flour is exposed to the air, the more moisture they are likely to absorb back to the flour. Therefore, unlike traditionally beliefs of putting it overnight, I did mine as soon as my liquid ingredients were ready. In a big mixing bowl, beat the egg yolks and icing sugar until pale. Gradually add in the coconut milk, beat until well combined. In the big container with the baked flour, make a well in the centre. Gradually add the egg mixture. Do not add too fast as the liquid will sink to the bottom. 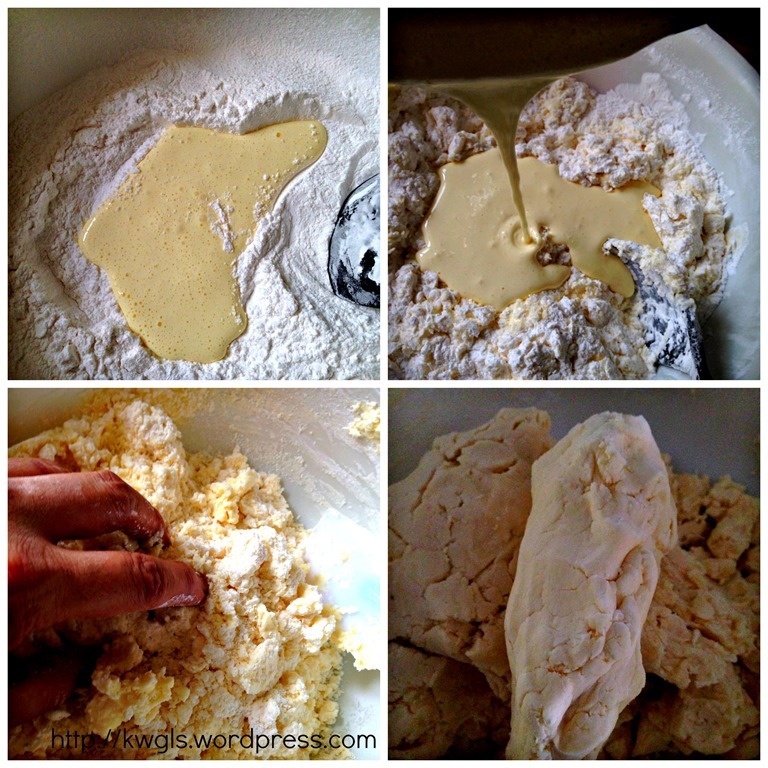 Use your hand to lightly knead the dough until it is just combined. Don’t worry if it is not too well mixed as you can add water along the way. It is also common to find that the dough is dry on the top part. As you mould along, it may become crumbly.. That is absolutely normal for starches..
Take a small portion and roll it into about 3 mm thickness on a surface lightly floured with tapioca/sago/corn/potatoes starch. You can use a rolling pin but do not press overly hard. 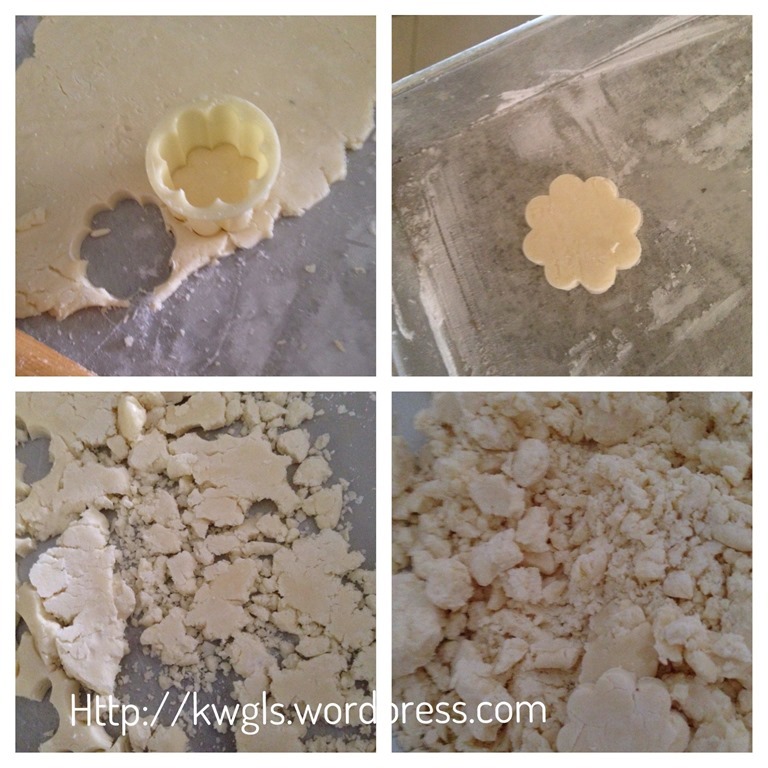 Mould into your desired shape and put in your baking tray. I strongly advise that you do this small portion by small portion. Take a small portion, roll and mould. Your dough will get crumbly along the way as water vapour is lost and some water has sipped down to the bottom. Add water teaspoon by teaspoon (from the 1/4 cup reserved water) along the way. As long as they combined and can be moulded, that is ok. Add water too fast will force the air out of the dough.. Egg wash if desired. 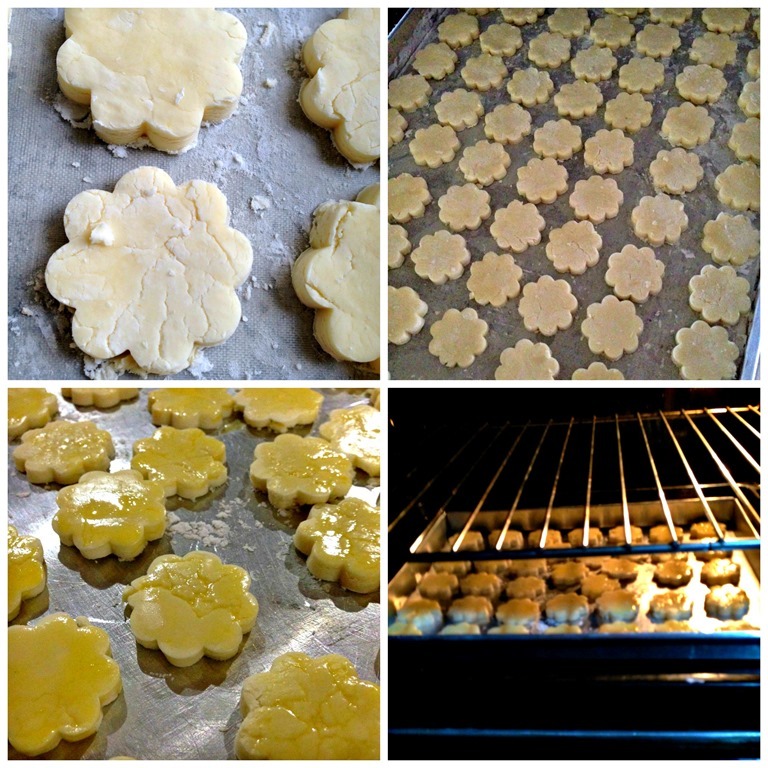 Egg washing will help to provide a glossier surface on the top part and provide some moisture to the cookies. For egg washing, use 2 egg yolks + 2 tablespoons of water + 2 drops of oil. For darker colour, use 1 tablespoon of water instead. REMEMBER THAT YOUR EGG SOLUTION MUST BE SIFTED BEFORE THE EGG WASHING. Otherwise, you may have some dark patches of egg whites in your cookies. Bake in the preheated oven of 150 degree Celsius for 15-20 minutes or the bottom start to turn brownish. The cookies will be slightly soft while hot, when completely cooled on the rack, it should be crispy. As this is a very light cookie, it will become soft in the open air very fast as water vapours start to absorb back. As soon as it is cooled, store in an air tight container. In the event that it become soft even before you put in the container, continue putting into the container, without the lid closed, put it in the refrigerator. The refrigerator will help to draw the moisture out of the cookies and make it crispy again. Serving is best in an air tight container during Chinese New Year. 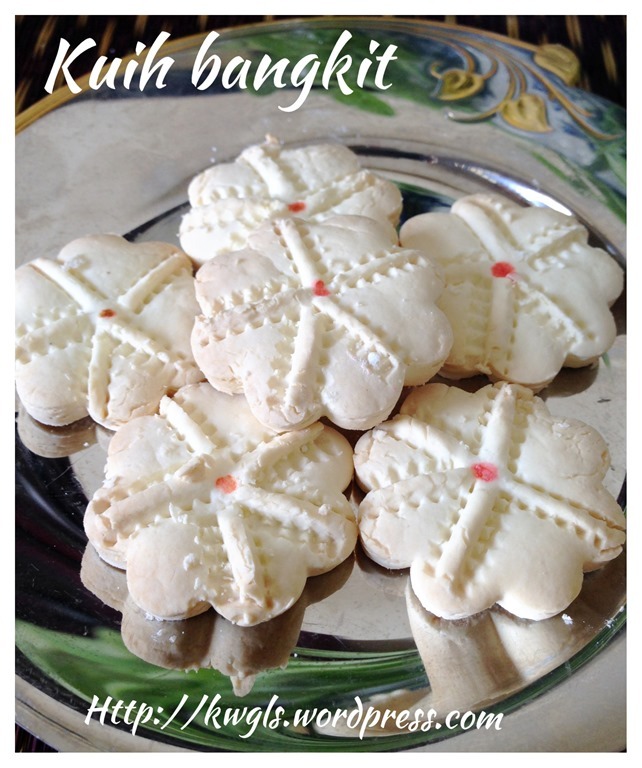 This is a long winded post and should be one of my very last post on Chinese New Year cookies series. 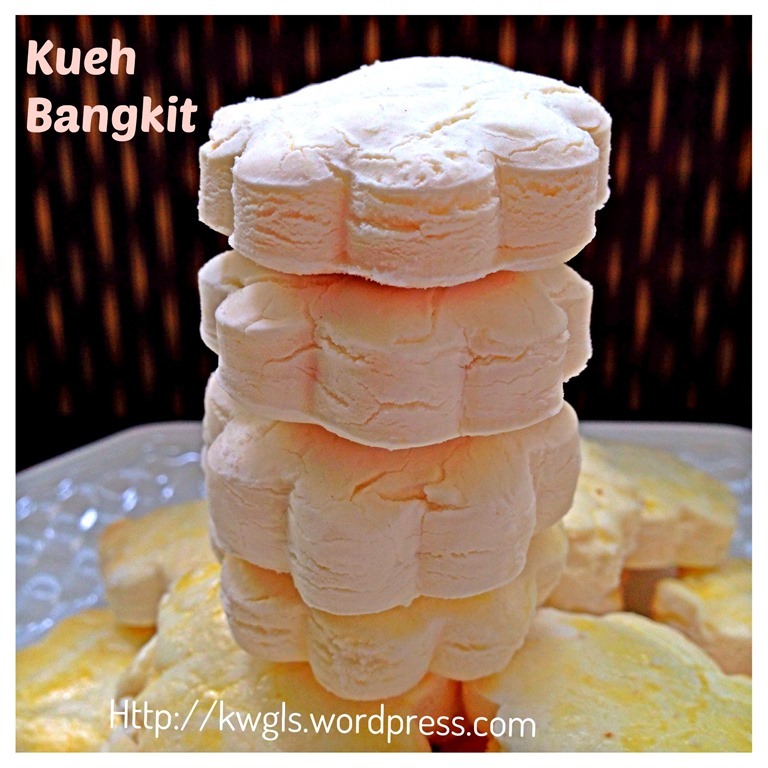 Again, I am a firm believer of shape versus texture concept.. A rugged, light Kueh Bangkit will give you a melt in the mouth texture. Forgive me again that I have my own definition of melt in the mouth… put in your mouth and bite once and it should just broken into pieces, two bites is not melt in the mouth and using tongue to break your cookies is the ideal…Average weight of my cookie is 6 grams per cookie. 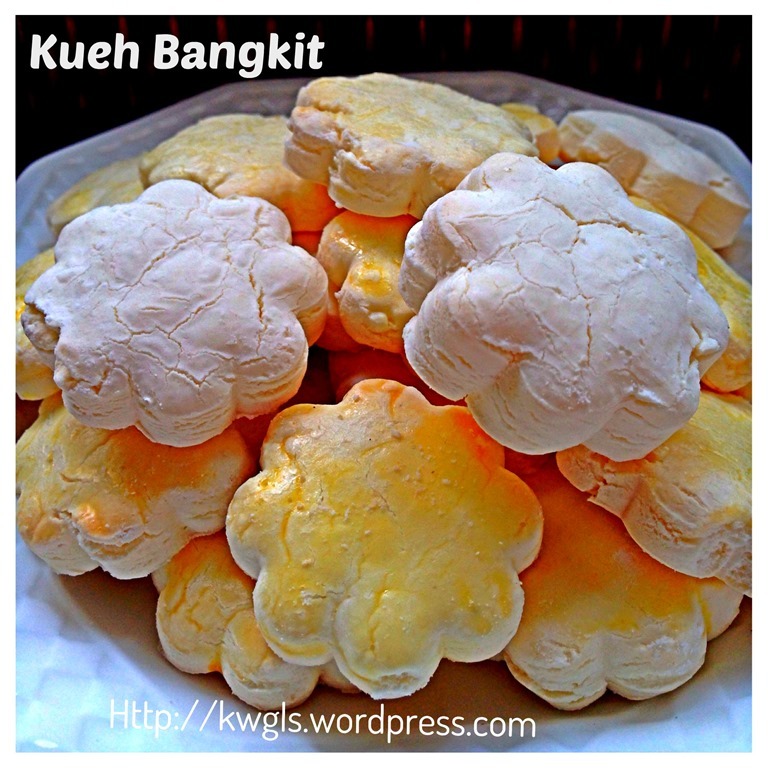 This entry was posted in Cakes and cookies, Chinese and Asian Cakes and Snacks, Chinese New Year 2014, Food Preparation Series and tagged bake flour, Chinese New Year 2014, GUAI SHU SHU, Guaishushu, kenneth goh, Kueh Bangkit, melt in the mouth kueh bangkit.., postaday. Bookmark the permalink. Hi Guai Shu Shu, your post on KB has all the details of making a good KB. I agree that melt in the mouth means the cookie will break easy with the tongue. 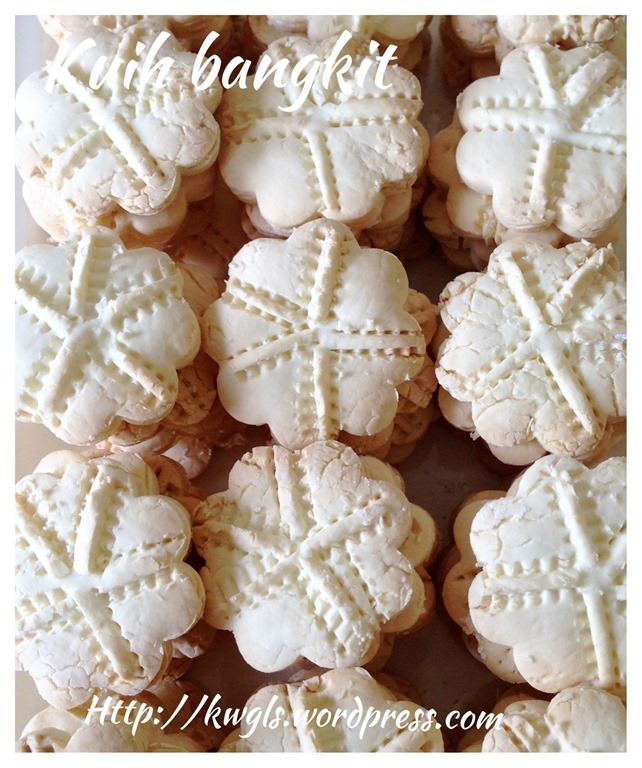 But I prefer the moulding them rather than using the cookie cutter. I had to label my cookie jar with a ‘Fragile’ word others the cookies will end up like yours. Thanks for sharing your recipe. 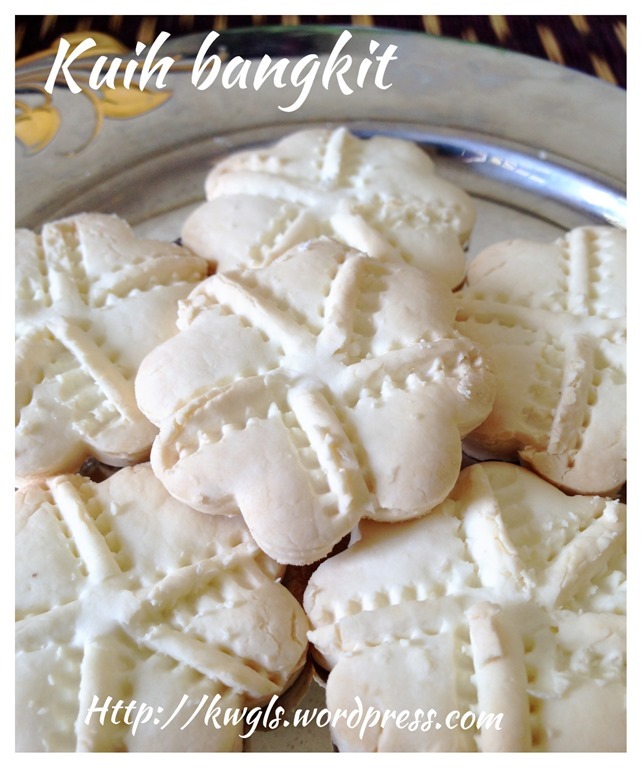 I will try this, perhaps next year cos’ I have stopped baking for this CNY. I believe your expectation of good cookies is high like me. I also go for more healthier versions without compromising the taste and texture. Thanks for dropping by, kimmi. Appreciate it. Your recipe and approach is very similar in fact.. Haha. 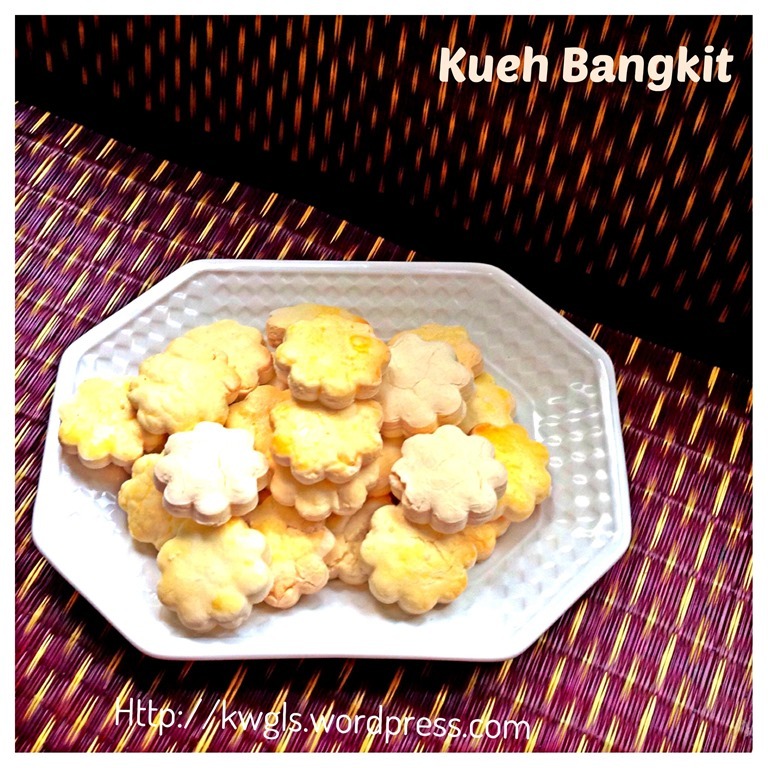 Most ppl fail because of the handling part..
Kuih Bangkit is an evergreen cookies for CNY. 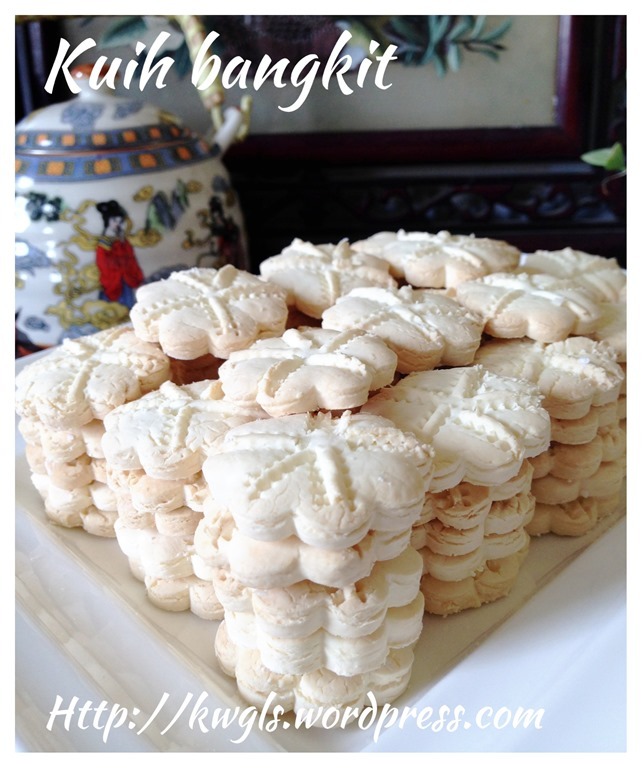 I suppose every Chinese household in Malaysia and S’poe would be familiar with this cookie. Yours look very light and melt in the mouth texture. Great job. Thanks for linking with Bake-Along. It would be great if you could mention Bake-Along and link to the three hosts, somewhere in all the posts that you are linking. Joyce, I am sorry that it is my oversight when I join the event in a rush and forget about a lot of details. I have amended and thanks for dropping by. Thanks for your lovely compliments. 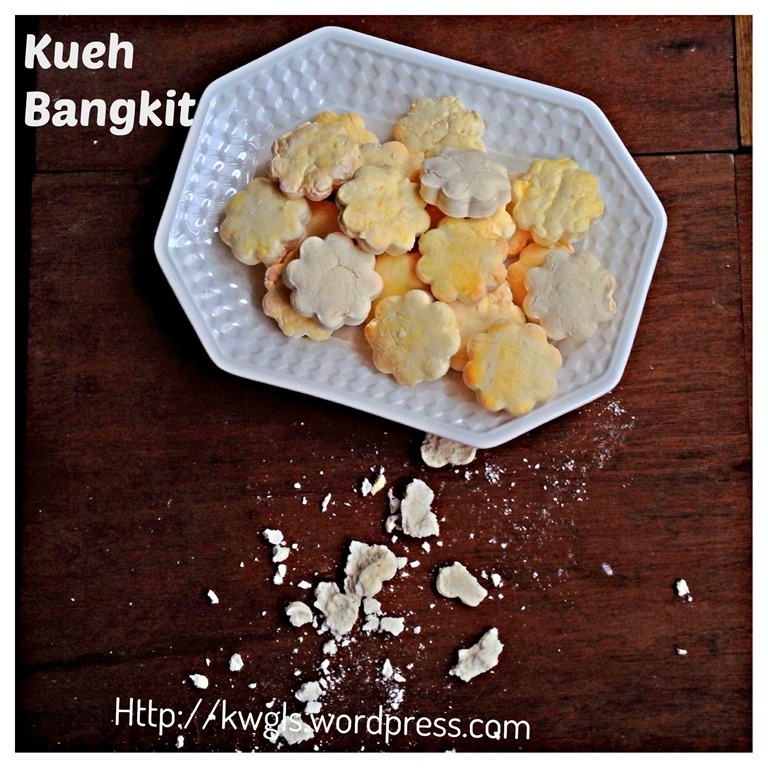 that’s a very detailed well explained post on preparing kuih bangkit. I hv never attempted this before and i often read that the dough is dry and now i can see from your pics that how the dough should look like, thx for all the tips given. Kenneth, would appreciate if you do a link back to one of the hostess ( joyce, zoe or lena ) as this is part of the rules for bake along. Thanks a lot! I have amended. I joined the event in a rush and didn’t go through the rules in a detail. I am sorry about this. 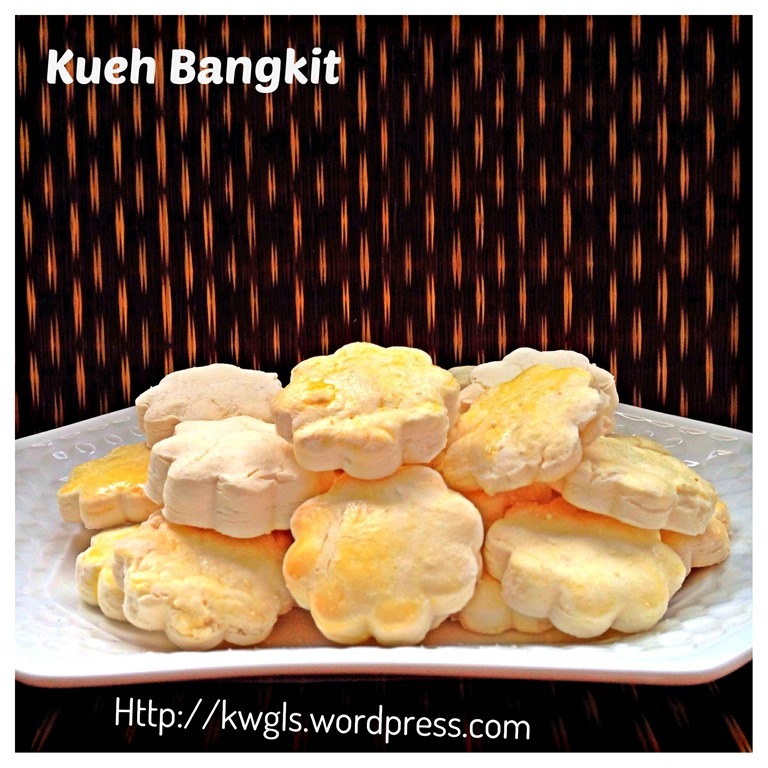 Kueh bangkit is not as difficult as what it is thought as long as water is gradually added and light handling. The texture on these looks amazing! So happy that you like it.. Thanks for trying. 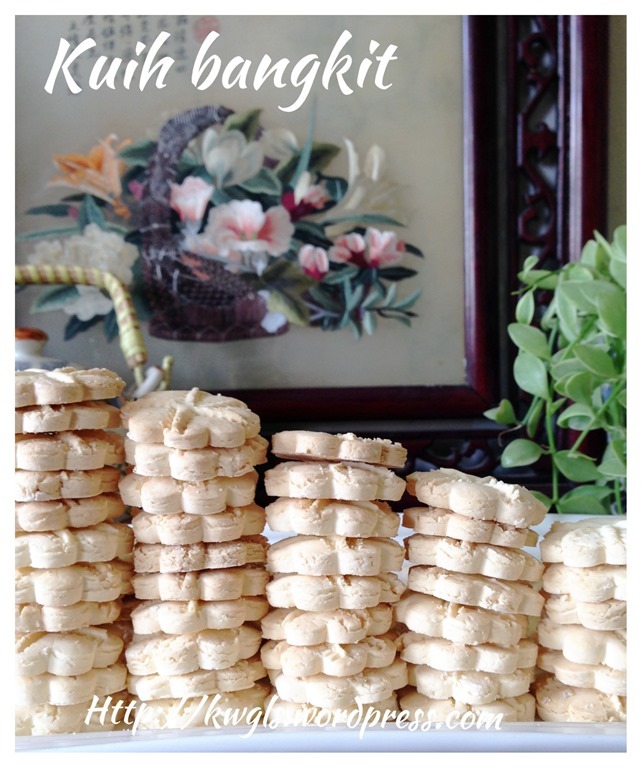 Tq for kuih bangkit recipe. Wl try it as soon as I am free. 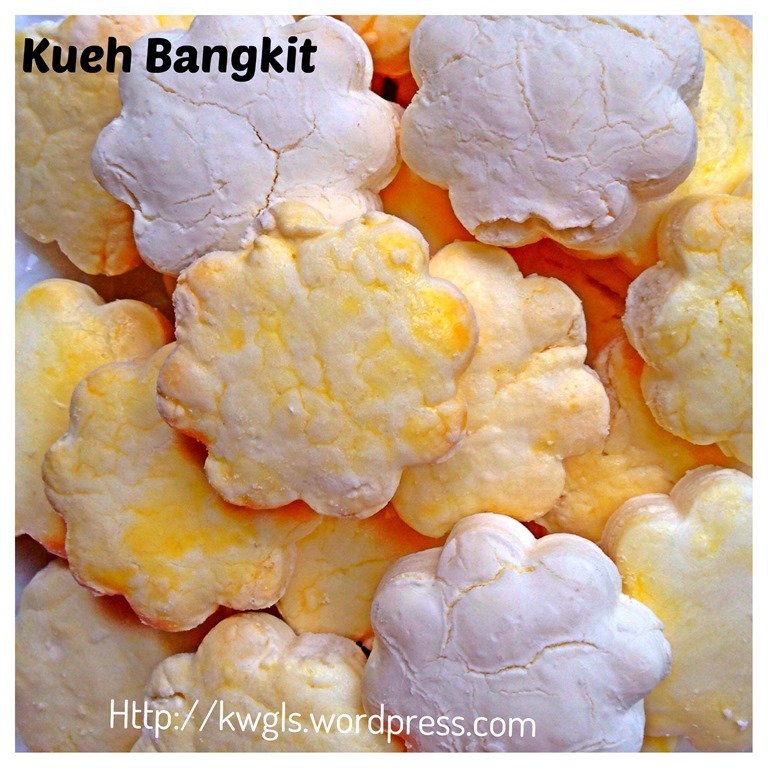 Btw Ken, have you eaten a version of this cookie made with gula melaka? 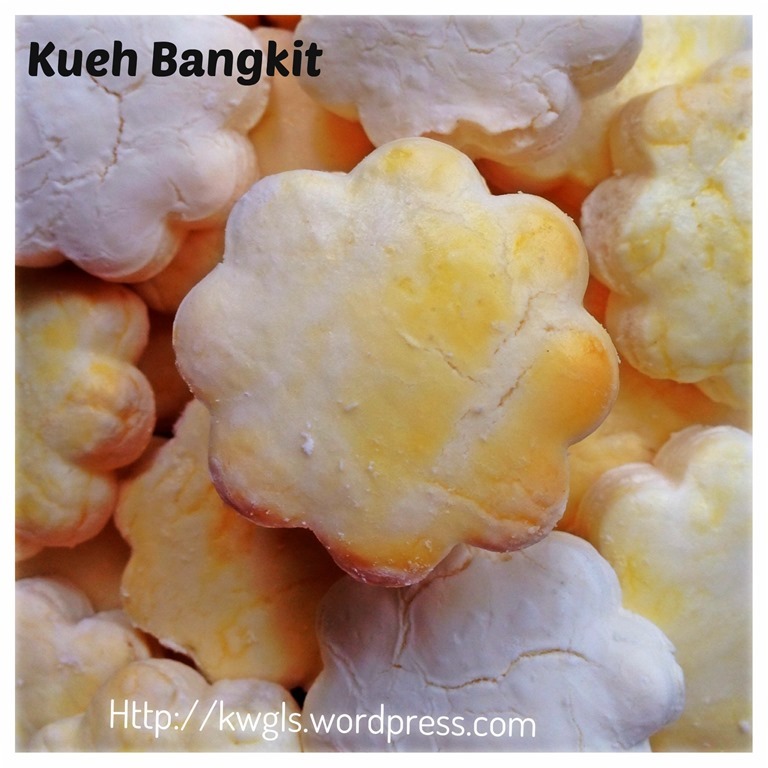 I had this when young made by a nonya lady and it was yummy because of the fragrance of the gula Melaka. Tried to duplicate it in the past but was not successful. Your post has prompted me to try it again besides making yours too. A very happy and prosperous New Year to you and your family. hi Kenneth, I’ve tried other recipe and it turned out very hard and I was wondering what is wrong with it, did I put too much water? Hmm.. after I read through your detailed instructions, I only know crumbly dry dough is normal but it is very difficult to shape when they are very fragile. I can’t even the kb pincher. Haha.. I shall try yours with rice flour, perhaps that can make it more airy! I just made a batch last nite, using the other recipe, uses only 225g sago flour, so at least if it was not successful, I won’t have too many. The results was not very satisfying, not sweet enough and not enough aroma.. I am wondering what else I did wrong? It is difficult and not appropriate to comment other’s recipe. 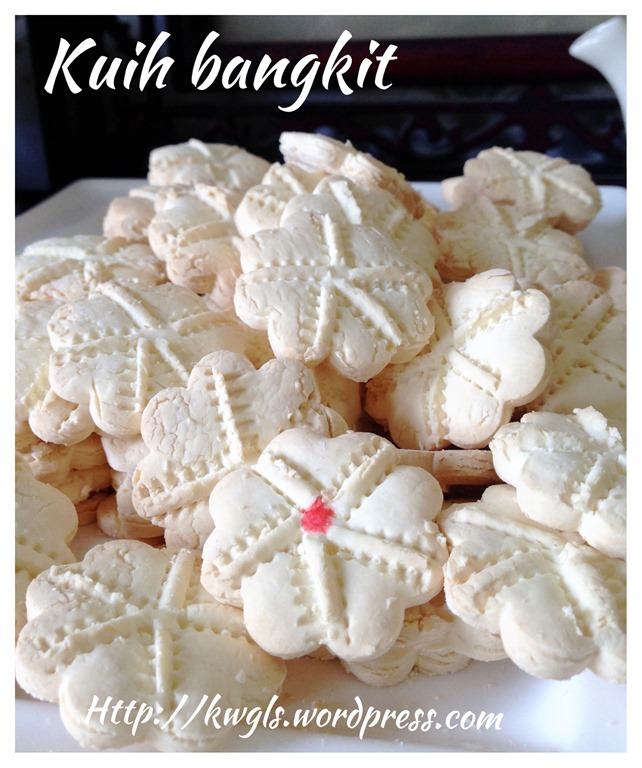 Do try this recipe.. especially the one with rice flour.. 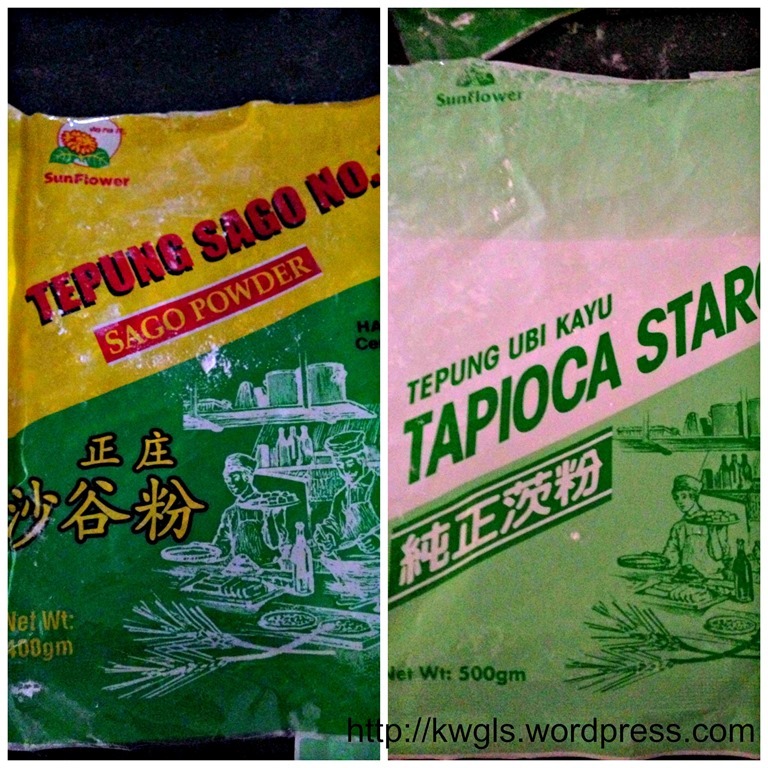 I found rice flour do a wonder.. Thanks Kenneth, I will try again. Hi, Will like to know what type of butter slated or unsalted butter? 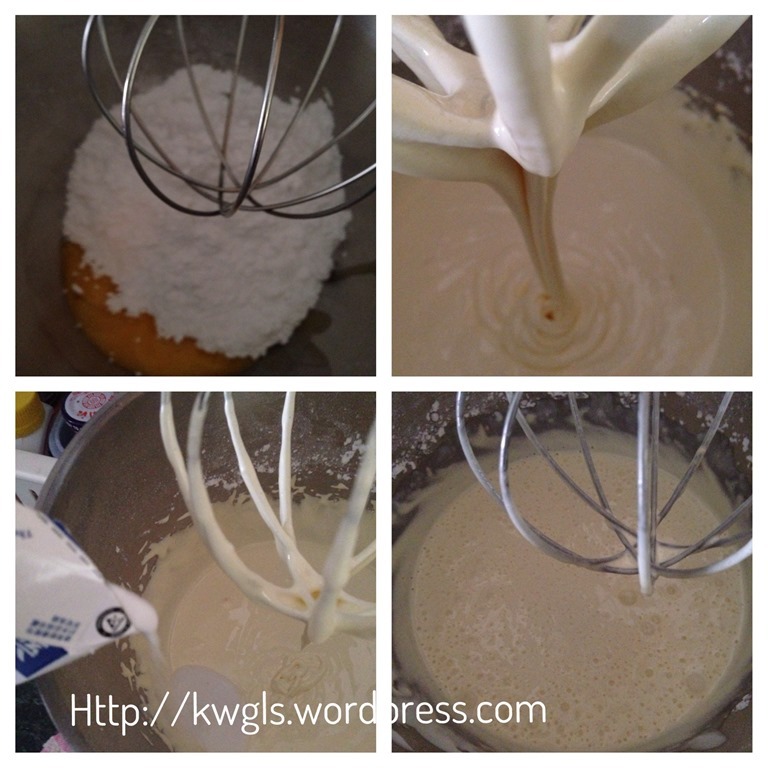 Do i really need to use a mixer machine? 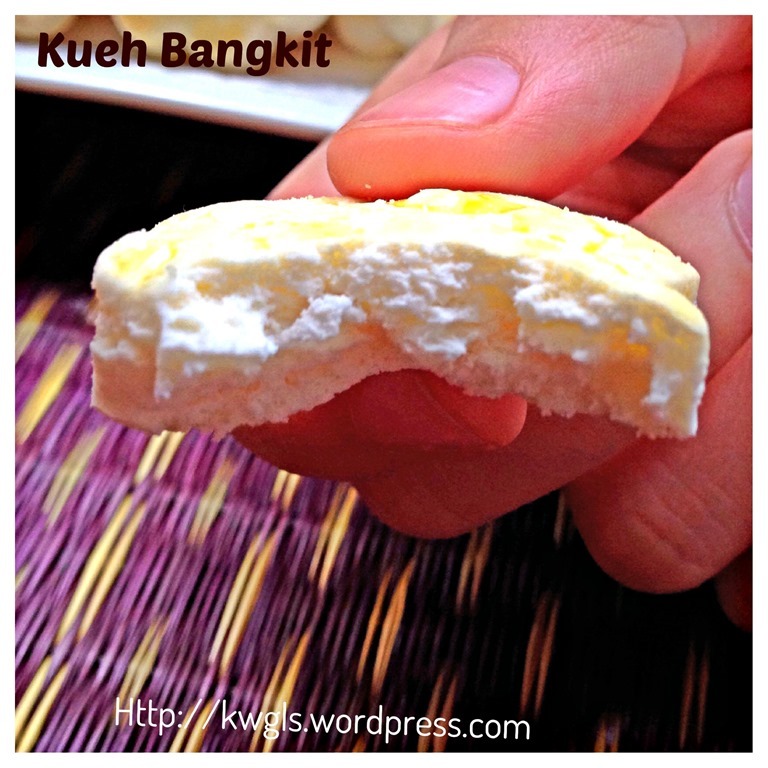 I do not think kueh bangkit use butter.. Usually my recipe use unsalted butter and if needed, i will add pinches of salt.